Hugo graduated in Engineering at Swansea University and has subsequently completed a Physics degree through the Open University. Hugo is a key member of ORS’ research team taking particular responsibility for data manipulation through database design and implementation and the graphical representation of data through GIS and other charting systems. In addition to his research work, he has been involved with the development of our business information systems and the implementation of our quality control systems and our new CAPI and CATI systems. Hugo is responsible for setting up many of our recent surveys to ensure effective data collection. 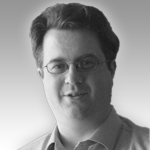 Darren is a specialist qualitative researcher and has led numerous social research, media and consumer projects. Darren has provided a Welsh capability for many of the UK’s top research agencies and has worked on several large scale awareness and reaction studies to National advertising and marketing campaigns, including the Broadband Wales campaign aimed at SMEs in Wales. He has also worked extensively with S4C in Wales, informing changes to branding and brand positioning and marketing strategy for the channel. Darren’s particular areas of interest are in sport, health and exercise, young people, media and new technologies, advertising and branding and the Welsh Language. Darren has gained over seven years research experience managing projects for the academic, media, advertising and public sectors. Darren completed a research fellowship period at The Open University in Wales, undertaking a nationwide research project commissioned by the main media institutions in Wales, which looked into the everyday uses of technology and temporal rhythms of the use of media in the home. Working with ORS, Darren has consulted on a number of topics, ranging from community safety and crime to budget planning, customer service standards to community involvement and action. 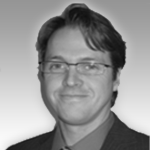 Darren has extensive experience of consulting within the diversity of the population and is also very experienced in researching hard-to-reach groups. 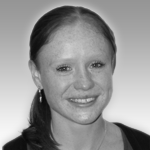 Catherine joined ORS in November 2007 and provides both day-to day management and support for a range of projects, mainly for housing associations and local authority clients monitoring performance and satisfaction with services. Catherine also provides invaluable project support for many Strategic Housing Market Assessments and Housing Requirement Studies for public sector clients across the UK. Her role mainly involves survey design and set-up (particularly telephone interviews), liaising with clients, the handling and analysis of both secondary and primary data and report writing. This includes complex reports profiling the characteristics of both the local population and housing stock to form an evidence base to model housing requirements; as well as detailed niche-group and sub-area profiles. Through studying Social Research at Swansea University, Catherine completed a dissertation based upon a quantitative study of issues affecting a rural community in Wales, seeking to understand the impact of migration and local housing pressures. As part of her first degree Catherine spent several months working as part of an Evacuee research team based at the University of Reading, helping to create and maintain a large database of evacuee movements and accounts. Between her two degrees, she worked for a year as a local authority recycling officer, collecting data door-to-door and reporting on recycling habits in the local area. Since Ciara joined ORS in 2008, she has worked on a wide range of research projects for Police Forces, Fire and Rescue Services, local councils and other public sector originations across the UK. Her role as a project manager involves delivering research projects from design and inception through to results and reporting. A key aspect of Ciara’s role is client liaison, providing regular progress reports and ensuring that project aims are routinely achieved. Ciara’s experience has allowed her specialise in quantitative research, and her day-to-day role currently includes project managing the Crown Court Sentencing Survey on behalf of the Sentencing Council, and Home Office mandated User Satisfaction Surveys (APACS) that ORS undertakes for numerous Police Forces across the UK. 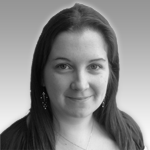 Ciara also works on a wide range of other projects including employee surveys, resident surveys, KPI surveys and omnibus surveys. Prior to joining the research team, Ciara gained invaluable experience as one of ORS' telephone interviewers, working on projects for the police service, the fire service and local government; and also as an ORS field interviewer, on projects such as the Swansea Air Show and the UK school games. Previously, Ciara designed and managed a valuable research project about local opportunities for physical activity for South Birmingham Primary Care Trust’s Public Health department. Ed is a senior ORS associate with considerable project experience with local government and the public and voluntary sectors in England and Wales. Ed has managed a wide variety of projects over the past fifteen years including private sector housing stock condition surveys, childcare sufficiency assessments, neighbourhood intelligence surveys, customer profiling and public consultation exercises. Ed's projects with ORS have specialised in quantitative research, specifically survey design, sampling, data collection, weighting, analysis and reporting. Ed’s Masters degree in Social Research Methods provided a solid foundation for over fifteen years’ worth of working on research and analytical projects. Ed specialises particularly in private sector housing stock condition surveys, having project managed over 200 over the past fifteen years and developed many of the survey and analytic methods in use today. Ed has brought these analytic and creative skills to bear on other projects such as childcare sufficiency assessments, where an innovative approach to analysis has yielded enhanced findings for a number of satisfied clients. This fresh analytical perspective has proven invaluable on a wide range of projects that Ed has managed. 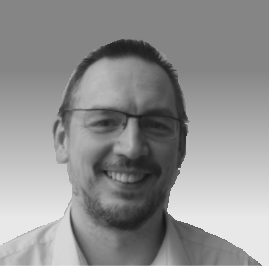 Scott is a Senior Researcher at ORS specialising in housing, particularly the preparation of Strategic Housing Marketing Assessments (SHMAs) and the analysis, modelling and associated reporting of Stock Condition Survey data. 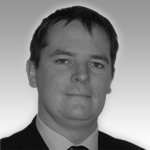 Scott’s degree in Materials Science and Metallurgical Engineering provided him with an extensive knowledge of statistics which he has applied to the real world; initially working in the financial advice sector; specialising in mortgages and associated financial products. He has also used his knowledge of mathematics, and ability to communicate its complexities to others, through a decade of teaching and lecturing in the subject, specialising in Mechanics and Statistics. Within that role he project managed a number of initiatives to improve numeracy levels across the broader curriculum for students of all ages, along with projects to bring them higher quality teaching and learning. Being an effective communicator and project manager, he has had a range of client facing consultancy roles for a variety of diverse organisations including the Department of Trade and Industry where he wrote and delivered training to delegates on their Oracle based systems. Since joining ORS, Scott has been involved in Public Examinations at a number of local development plans and represented ORS at conferences on the future of housing. Trevor is a highly experienced Senior Housing Researcher. He has worked in research for over 20 years, having started off in housing management before moving to IT in the private sector. Since then he has worked in research in the voluntary, housing association, health, and local government sectors. He has run or managed numerous surveys, evaluations and other studies and has a particular interest in project evaluation, housing needs assessments, modelling, the practical implications of housing policy and disability issues. In recent years, Trevor has focussed much of his time on Strategic Housing Market Assessments, Joint Strategic Needs Assessments for Health and social care, and Gypsy and Traveller Accommodation Needs Assessments (GTANA). His 2005 methodology for GTANA was, until recently, the prototype for the standard assessment approach.